If media cross-ownership rules are eliminated, monopolies will dominate. Nothing Donald Trump says to attack journalism is as dangerous as what Trump’s chairman of the Federal Communications Commission, Ajit Pai, does to attack journalism. Pai has already used his position to threaten the quality and character of the democratic discourse on the Internet—by seeking to undermine net neutrality—and now he proposes to put a corporate stranglehold on the discourse in communities across the United States. 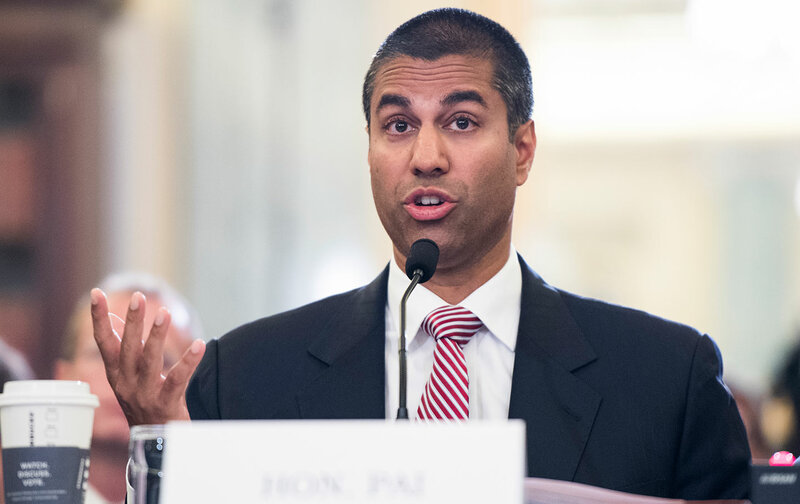 On Wednesday, Pai announced that the FCC would vote as soon as November on a proposal to eliminate the cross-ownership rules and usher in a new era of media monopoly. For the better part of two decades, efforts to gut the rules have been blocked by grassroots groups representing consumers, journalists, and democracy advocates. But Pai is moving quickly in hopes that he can avoid the sort of mass mobilization of citizens that—with an assist from the federal courts—derailed an effort by the Bush administration to overturn the cross-ownership rules. As is common with Trump appointees who advance deregulation schemes that serve the interests of monopolistic corporations, Pai is employing Orwellian doublespeak in an attempt to fool Americans into thinking he wants to open up the media landscape. “We must stop the federal government from intervening in the news business,” he told a House Commerce subcommittee oversight hearing on Wednesday. The truth is that the assault on cross-ownership rules is the ultimate government intervention, as it will clear the way for large corporations to gobble up media outlets, consolidate newsrooms, and diminish competition. The current rules seek to encourage genuine competition and robust debate by supporting a diversity of ownership and—by extension—diverse journalism that offers differing coverage and differing perspectives on the news. Pai’s intervention will diminish competition in communities across the country and benefit monopolistic corporations. The move also has the potential to benefit President Trump (who has tweeted about using the FCC’s licensing process to punish media that are critical of him) and Trump allies who rage against media outlets that speak truth to their power. Chairman Pai’s announcement follows the FCC’s moves to restore the so-called UHF discount that allows large chains to conceal the reach of their stations and to end requirements that owners of television and radio stations operate studios in or near the communities they’re supposed to serve. Pai has close ties to the Sinclair Broadcast Group, whose proposed $3.9 billion merger with Tribune Media is now being reviewed by government agencies including the Justice Department and the FCC. Should regulators approve the deal, the resulting broadcast giant would control more than 233 local-TV stations reaching 72 percent of the country’s population, far in excess of congressional and FCC limits on national and local media ownership. The FCC limits to Sinclair’s potential size are the same rules Chairman Pai is now seeking to undo. He’s fulfilling a longstanding industry wish list and ignoring how decades of runaway media consolidation have significantly harmed local news and independent voices. The FCC has routinely failed—and been repeatedly scolded by the courts for doing so—to consider how gutting these rules will impact already abysmally low levels of broadcast ownership by women and people of color. She’s right. But, as a Democratic appointee, she’s in the minority on the commission. That means that Pai’s initiative will be slowed only if citizens and members of Congress speak up rapidly—and loudly—in defense of the sort of media competition, open discourse, and robust debate that are essential to democracy.